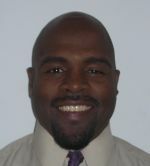 Leslie Hurt received his Associate degree in Human Services from Vance- Granville Community College in 2004. He received his BA in Sociology from North Carolina Central University (NCCU) in 2008. He is completing his Master’s in Sociology at NCCU where he is a graduate assistant. His focus areas of study are Race and Ethnic studies, African American History and Social Movements. He is a member of Alpha Kappa Delta International Sociology honor society Leslie completed research for his Master’s thesis on the life and works of renowned sociologist, Dr. Joseph Himes, in 2011 and is currently on the adjunct faculty at North Carolina Central University. One of his major goals is to obtain his PhD and shed light on the vast contributions African Americans have made to the field of Sociology.